“I can bring science to a larger Angolan public. 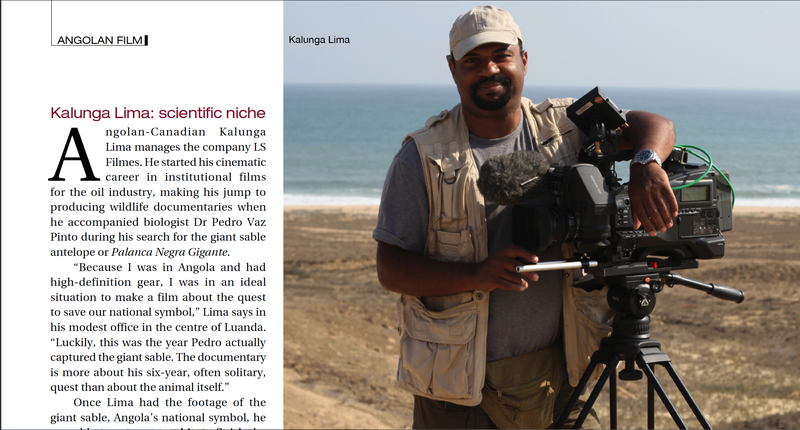 That’s what I can do to make Angola a better place” – Kalunga Lima in the December 2011 issue of Sonangol Universo magazine. Click here to download the 4 page PDF. …. Its a great LOSS indeed. For the benefit of all Angolans. I trust that at this time what we should do is to keep up his work and give value to what he has started. I did follow by distance and very closelly as well, and if my tears dont stop i can just say MAY GOD KEEP YOU SAFE FROM ABOVE. … For the Family is never a thing to overcome because we as friends and collegues are mourning, we can Just Say: Our sentemments for the Angola Great loss, even if its not recognaisable many times but indeed, ” SCIENCE” WAS BEING BRINGED UP BY KALUNGA LIMA.